Desolate Fields – Heeding the Call demo – Self-released – Release: Out Now. 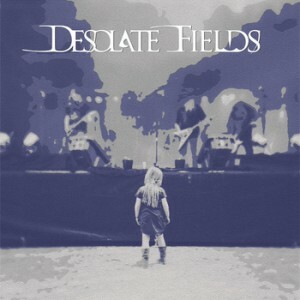 In a bid to garner more attention the Dutch band Desolate Fields released a second demo some months ago. Painstakingly recorded with very basic means they put out a very decent sounding product. What you get is a two track demo which is the most easy to describe as a mix of doom, melodic death and black metal which gives a very good taste of what they bring during live shows. The keyboards on the opener “Heeding the Call” remind me of the PC game Hexen from way back in the ‘90s. It’s a short song, but it feels a lot longer than it is, in a good way. The one criticism I have about it is that the drums sound too fast at the beginning, right before the guitars kick in. A more restrained approach would have benefitted the song more, which they actually did use for the closing of the song. Second track “Puzzles” has more meat to it and opens in a nice bit of technical death metal style. There’s also a lot more space for some proper slow headbanging here and during the halfway mark I’m actually reminded of an old Dutch band called Pre Mortem with some nicely slow and atmospheric play before a final crescendo sets in. It’s a short demo, but it nicely showcases the band’s ability to create great songs and I’m quite interested in hearing what they can come up with for a full-length.